WHENEVER Mark Barriga steps into the boxing ring, he feels a mixture of excitement and trepidation. With his heart pounding like a hammer in his chest, he knows that each fight is not just his own, but also for his family, the country, and the people who have helped him get to where he is. Mark grew up in the outskirts of Panabo, a progressive city in Davao del Norte. He may not have had lot of material possessions, but he had a beautiful, supportive family and a good head on his shoulders. After all, boxing is not about just the physical punching; you need intelligence and the smarts as well to outwit your opponent. His father Edgar, also an avid athlete in his younger days, encouraged Mark and his siblings Edmel and Kristel to engage in sports as well. Mark played basketball and other team sports from age 5. He and his Kuya Edmel often participated in barangay or school-sponsored sports events. They later concentrated on boxing because they felt it was the best sport suited to their abilities. Even at the young age of 9, Mark’s skills and talent were spotted by boxing aficionados who convinced him to train further at the local sports center. More than the talent, they saw that he had the passion for training and exercise, as much as he did for throwing punches. When I met Mark, I was kind of doubtful about his prowess. I mean, he wasn’t exactly the hulking Muhammad Ali or the towering George Frazier I watched years ago as a kid. Mark is actually slightly built, standing 5 feet flat—a few inches shorter than me—and he says he weighs 49 kg. But his handlers tell me he has won against much bigger opponents in international matches. “Matatangkad po ang mga nakakalaban ko. Pinakamatangkad po siguro mga 5'7" na Russian nung game po namin sa Azerbaijan,” the 18-year-old shares. Mark apparently leverages on his speed and agility to beat opponents who are taller and have more reach than him. Mark is currently in Manila training hard for the London Olympics, where he will fight in the light-flyweight division. He has also been to several Asian countries as well for further training. “Si Coach Roel [Velasco] ang nagte-train sa akin. Nanalo na din siya ng medal dati, kaya siya po ang nagtuturo sa akin ng mga techniques. Gusto ko syempre mauwi ’yung gold, kaya po dedicated kami sa training at pag-ensayo.” Mark says, his voice lifting, hoping. His rigorous training includes several hours of exercising at the gym to toughen him up and running every day to condition his body further. This strengthens his legs enough to be able to continue shifting and moving to quickly evade his opponent’s jabs. Mark’s father has always been supportive when he fights, but his mother Melita, whom he fondly calls “Momsky”, understandably gets all anxious. Most mothers, after all, are engineered to protect their children. “Nasasaktan ako kapag nasasaktan siya,” says Momsky, almost teary-eyed when she talks about the struggles of being a mother not just to Mark but also to her other two children. “Pero dahil sa boxing siya masaya, doon talaga ang hilig nya, suportahan ko na lang siya,” she sighs in resignation. Momsky, of course, is as supportive now of Mark’s as her husband. Even if she can’t give him advice on boxing techniques, she makes sure that Mark’s fighting gear is complete in his bag, or makes sure he has some baon—the little things that make a difference in any child’s day. “Nag-aalala lang po ako kapag lumuluwas siya sa Maynila o sa ibang bansa, ’di ako mapalagay,” Momsky confesses. “At ang layo-layo ng mga laban nya. Mahirap puntahan. Mahal syempre ang pamasahe,” she says timidly. This is just her second time to Manila and her husband’s first visit. And this is where Procter & Gamble (P&G) changed the Barriga family’s life. 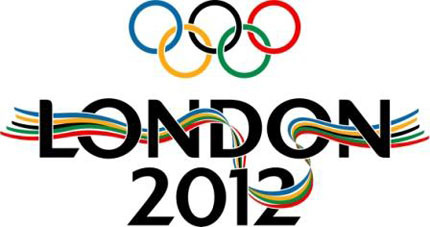 The company is a worldwide partner of the International Olympics Committee. This year it intends to go beyond supporting the athletes by honoring the loving mothers behind their success. Starting off with a cleanup and modest makeover of the Barriga home in Panabo, the P&G team ensured that Momsky will have less to worry about when she returns from the Olympics. With a year’s worth of P&G products, the team hopes to lighten Momsky’s load of daily chores and tasks. The company will also be bringing Momsky and her husband to London to watch Mark fight, and hopefully prevail over his opponents. “Salamat sa kanila, pati nga ’yung asawa ko makakasama. Mapapanood na namin si Mark.” Momsky says, her excitement quite palpable. “As a company, P&G is in the business of touching and improving all people’s lives. Those who share this goal are the mothers,” said Chad Sotelo, P&G country marketing manager. “We take this as an opportunity to reward our nurturers who saw the heroes in us and reared us to be the champions that we are in our respective fields. P&G is a proud sponsor of moms. We are now and we will continue to be,” he added. I’m crossing my fingers that Mark does bring home the gold. It would be such a great honor for his hometown in Panabo, and for the entire country. But there will be no one more proud than Momsky. To all momskies, I wish you all a Happy Mother’s Day next Sunday. Keep inspiring your kids and help them reach for the stars, or in Mark's case, the gold! ■ How did your mother inspire you? What do you love most about your mother? Tell her at www.facebook.com/thankyoumomPH.